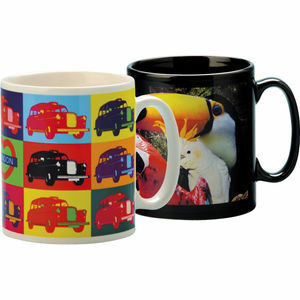 The dye sublimation cambridge mug is the perfect promotional mug for those wanting photographic and bright colourful images on a mug. With its large print area the possibilities are endless. This mug has been tested to over 2,000 dishwasher cycles.